« Are You Prepared for Flooding or Other Disasters? This event was held on Tuesday, April 26, 2011 at 7 PM in the Bigfork High School Music Room, and was hosted by the recently formed Bigfork Emergency Response Team (BERT), as part of their 2011 Community Preparedness work. In addition, I have added some recommendations from ESP community members. After Floods: Nashville Proud of Model Recovery (NPR News Item): As communities across the country’s midsection respond to potentially historic flooding, federal emergency officials say they could take some cues from Nashville. The city endured record-breaking rainfall and devastating floods one year ago, and FEMA continues to point to the local response as a model. From member station WPLN, Blake Farmer reports. Community Preparedness for Flooding in Vernonia OR (ESP post based on article in The Oregonian): A small, rural community organized to deal with, and recover from an oncoming, devastating flood. Sand Bag Demo and Training: This Saturday (April 30), there will be a training and demonstration session for filling and stacking sandbags, 8 AM, in the Bigfork Sliter’s parking lot, demonstrated by the Boy Scouts. In case of imminent flood, the county will provide sand and bags, about 2 weeks prior to flood. Possibility of delayed emergency response: It is important to note that there may be delayed emergency response to your particular situation; delays as much as 4 days can be expected (as learned from Katrina). Roads or bridges may be out, a concern expressed by Flathead County Road Department and the State Department of Transportation. So it is best to be prepared. Bruce is originally from Great Falls and remembers the ’64 flood. The first 3 – 4 days were a time of major confusion, especially for those who are not prepared. Those who are prepared can help those who are not, during any emergency (not just a flood). Healthcare: Determine if there is someone in your neighborhood with healthcare experience. If not, encourage someone (if not you) to take a class at the Red Cross. Emergency communication: Determine if there is someone in your neighborhood who has a ham or short wave radio. Help those people in your neighborhood with special needs to prepare an emergency food and water pack. Contribute to the Bigfork Food Bank. Find a place suitable for emergency shelter in your neighborhood. A native of Ronan, Jim has moved a few times around the West, until retiring in Bigfork in 1984. Over the years, he has become a Ham radio advocate. What about city water and sewer systems? Bigfork’s community sewer system has a good back-up power supply, but the water system will be out of water in 2 days. In the case of a power outage, fill you bathtub with water for home use. What about food? If flooding is severe (road blockages, closed bridges), you may not be able to get to Kalispell from here, and food trucks may not be able to reach us. Bigfork Harvest Foods estimates their food supply on any given day will only provide 2 days of food for Bigfork area residents. If you have a Ham radio license, you can volunteer to be part of the emergency communication team for our Bigfork area. If you don’t yet have a license, the local Amateur Radio Club will offer training classes, but they need at least 4 people per class; each class is 1 1/2 days. The cost is $35 including the book, testing and a 10-year technician license (for short distances, line of sight between radios). There are 35 people in our community who have Ham licenses, but not all have radios. The club recommends that all have the same kind of radio, which costs about $175 (used sets cost around $60). [Cat’s note: morse code is no longer a requirement (from Edmund Fitzgerald)]. See also article in Apr 29, 2011 Daily InterLake: Bigfork residents learn flood preparation; and Handout: 4-Day (96 Hour) Emergency Kit (Food Only), by Lana Nelson (printable pdf). We have morphed into a society dependent upon quick access to groceries and fast foods rather than having our own larders. So while you are thinking about preparing your emergency food pack, also think about stocking up your pantry for 6-months to 1-year of food supplies. A 3-day (72-hour) emergency pack is 1-day short; Lana’s adjust plan is for 4-days (96 hours). You don’t have to follow Lana’s pack plan (below) to the T; adapt it for your own needs, especially if you are planning for people with special needs (children, seniors, people with health issues such as diabetes, etc.). She also recommends including comfort foods because they help ease stress. Remember that a dry-pack is no good without water. So in addition to including a water supply (see below), consider also including foods that do not require added water. Rotate both the food and water packs once a year if store at home, or every 6 months if store in an RV, etc.. Maintain a spiritual calm as your most important part of your personal emergency response. Clothing and Blankets are the next most important, followed by water, food and medicines. Put your grab & go food pack in a bag, such as a reuseable grocery bag. Write the date on a piece of paper and place it in a plastic baggie and keep it with the pack. Plan on a 1-year rotation of the bag’s contents. This kit needs no water, and no cooking/heating, to prepare food. 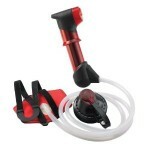 It provides 1735 calories and weighs about 7 pounds, without the added water bottles. 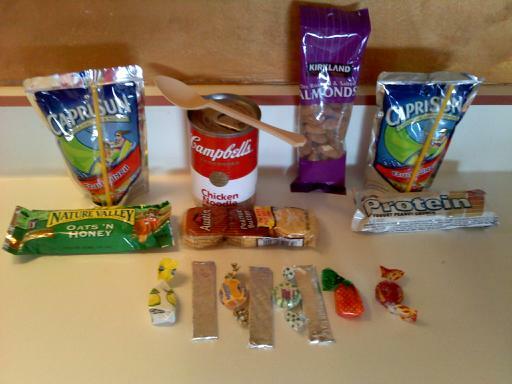 Put the gum, candies and spoons in a sandwich bag. In a small backpack or tote, put the heavy items first: soups, drinks, applesauce and bars; then layer the other items with the crackers on top of the packed items. Add this food pack to your non-food emergency essential pack. 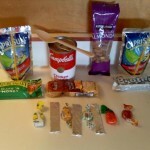 See 4-Day (96 Hour) Emergency Kit (Food Only), by Lana Nelson for complete 3-page printable pdf file. For people: 1/2 gallon of water per day is the absolute minimum for drinking, but 1 – 2 gallons drinking water is best. Plus another 1 -2 gallons of water for cleaning, etc. For pets: add another 1 quart water per day for each pet. Don’t use glass bottles for a grab & go pack. Use plastic water bottles — they weigh less and won’t break. Don’t use plastic milk jugs; whey from the milk acts on the plastic and weakens it so that it can leak. Per FEMA: if the water is not chlorinated, add 2-drops bleach per gallon of water; if chlorinated, you don’t need to treat it. Iodine or colloidal silver can also be added to purify water. Water that has sat for a long time can taste bad because it has lost its oxygen. Aerate it by whipping, etc. See also suggestions from our community below. Don Beans suggests the MSR Filter to purify any water of bacteria, protozoa (including crypto and giardia), and particulates. 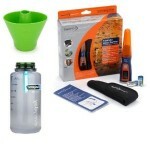 These are designed for back-packers but very useful during water emergencies. There are different versions; some work by a pumping mechanism, others by gravity filtration, and all use replaceable filters. Available at most sporting goods stores; see Cascade Designs: MSR Filters for more; Amazon offers videos on how to use the hyperflow filter (shown right). Shelli R recently purchased a SteriPen, Journey LCD from HydroPhoton Inc, to purify water using Ultraviolet light (kills microbes), and is battery powered. It is recommended that the water first be filtered before treating with the UV pen. More information, including the photo, left, available on Amazon. A video on using the product is available on You Tube. This entry was posted on Saturday, April 30th, 2011 at 12:40 pm and is filed under Community, Emergency Preparedness, Food-Nutrition-Health, Gathering Summaries. You can follow any responses to this entry through the RSS 2.0 feed. Both comments and pings are currently closed. My biggest concerns for Emergency Situations is to have enough water, medicine and food for 6-12 months of time. I am especially concerned about water because it is the most crucial and yet it tends to taste bad whether clorinated or not. Personal experience has taught me that and what form of container to keep it in. There are pro’s and con’s to all of course. Keeping water in glass appears to be the best except for the chance of breakage and leaking. Broken glass is sharp and can cause severe evere injuries. If water is not to be stored in milk containers, wher exactly is it to be stored? 2-Litre plastic containers? And if just shaking of plastic containers can prevent the bad taste in water than I have my answer and thank you. With respect to storage of food, most products such as canned meat are good if not opened for the period of time that most emergencies would last. The cleaning of things without warm/hot water can also be a difficulty beginning with washing yourself and continuing on to dishes. Any help you could provide would be most appreciated. It’s possible that you have already listed this information and I have just not seen it yet. Thank you. Sincerely, Michael G. Murphy. Thank you for your thoughtful comment; water is definitely a big concern. Where to store water? I store it in glass for use at home, but for the emergency pack, I bought bottled water in plastic soda bottles because it doesn’t break easily and is lighter than glass (but I don’t recommend reusing soda bottles, because the toxins are more readily released after one use. I also have one of those backpacker water filters that you hang up for several hours to purify. Or you could store clean water in any food-grade plastic container, for short-term water storage. Bad taste in water? Water that has sat for days without being used can taste quite stale. I understand that a good stirring to produce a whirlpool action restores oxygen and better taste to the water. However, water that may be contaminated could have a bad taste that won’t go away until after purification.